2009 Interior Lifestyle Award in Japan. Masanori Oji studied architecture in university and was introduced to product design after founding a design firm in 2004. The self-taught designer is currently based out of Kawagoe, about an hour-long train ride from Tokyo. Mr. Oji primarily designs household goods meant for practical everyday use. In addition to product design, he also designs the packaging for the goods and carefully selects which craftsmen to produce his designs depending on the expertise required. When he is designing, Mr. Oji first designs a logo and names the project. The name carries the spirit of language while the logo serves as a flag for the project. He then learns about the material and tradition that working a specific material carries. His work is based on collaboration: Meeting craftsmen and families of age-old companies like Futagami keeps the integrity of the project. Historically, brass has been used in the creation of buildings, ships, and furniture- its corrosion-resistant properties and moderate workability make it a sturdy and reliable material to work with. With a gentle texture and an elegant luster, brass also has a long history as a material for artful crafts and Buddhist altar equipment. 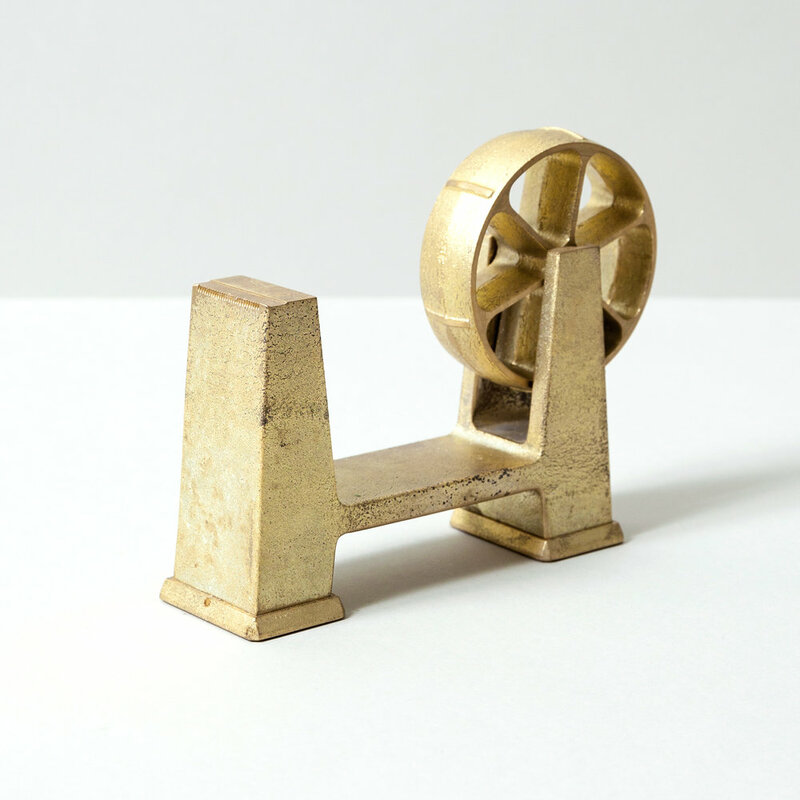 Read more about the history of brass on our Journal. Brass products gradually changed their color over the course of many years due to oxidization. The longer they are used, the richer and subtler their patina becomes, lending a special personality. A weekly wiping with a little liquid ammonia on a soft cloth will help keep brassware shiny and smooth. 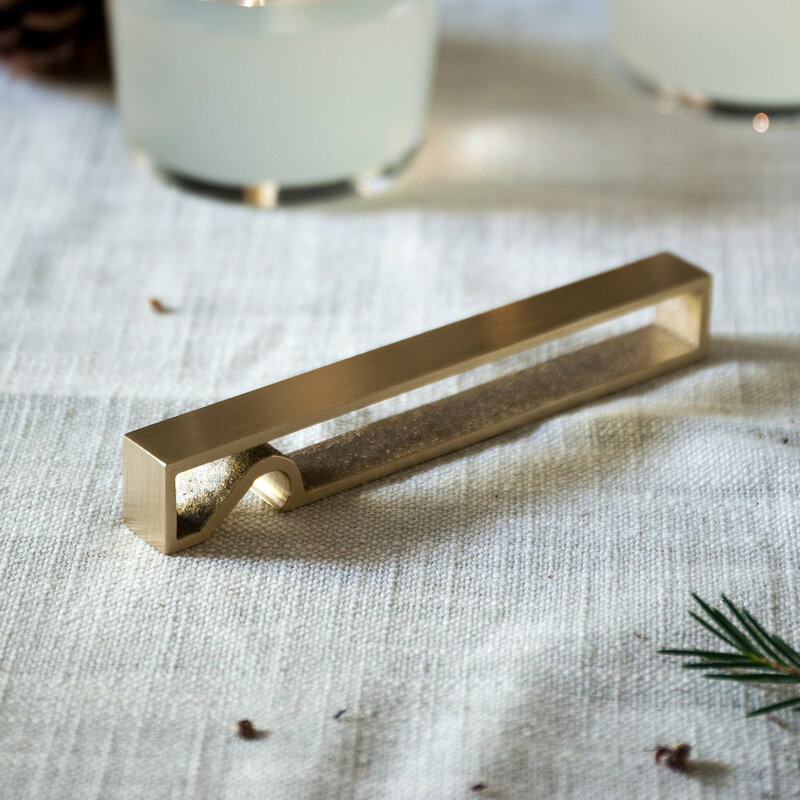 To clean, use a common brass cleaner (available in grocery or hardware stores) and wipe with a cloth to remove tarnish.